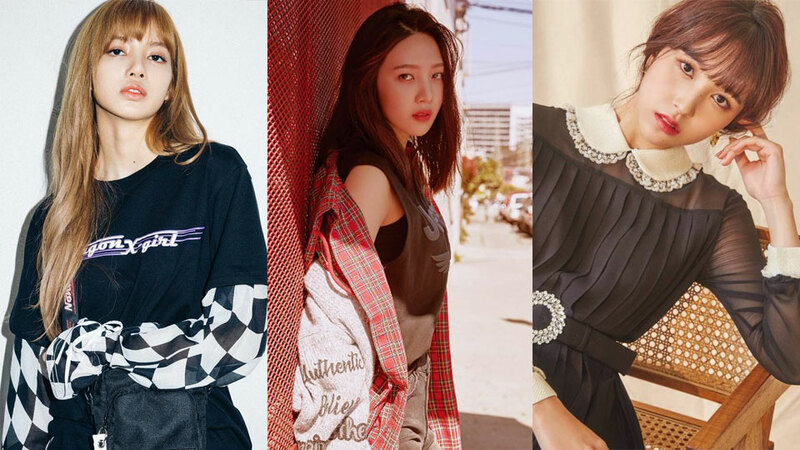 These 50 female idol groups are currently the most popular in South Korea. The Korea Institute of Corporate Reputation has recently released the brand value for female idol groups for the month of October. According to the data compiled from September 11th to October 10th, BLACKPINK was at the top, followed by Red Velvet and TWICE. BLACKPINK had a total score of 10,283,856, while Red Velvet and TWICE had 8,243,593 and 7,961,648, respectively. The rest of the groups ranked were, in order, Girls' Generation, Cosmic Girls, OH MY GIRL, MAMAMOO, A Pink, Lovelyz, (G)I-DLE, GFRIEND, MOMOLAND, Dream Catcher, LOONA, Laboum, Weki Meki, fromis_9, T-ARA, Berry Good, April, AOA, EXID, Girl's Day, After School, UNI.T, Fiestar, f(x), 9MUSES, CLC, DIA, Pristin, gugudan, Hello Venus, Stellar, BAD KIDZ, Lip Bubble, GBB, Bonus Baby, Brown Eyed Girls, Elris, Secret, SONAMOO, Pocket Girls, Miss A, Day Day, BESTie, Ladies' Code, Tweety, SHA SHA, and LIVE HIGH. Has your favourite made into the list, ladies and gentlemen?